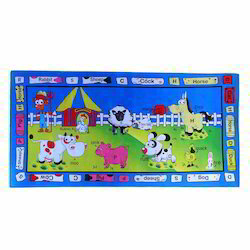 Our product range includes a wide range of kids interlocking mats, education mats, gravolite printed kids fun mats, puzzle mats, kids study mats and kids floor for room. We are ahead of our competitors in the industry for manufacturing and supplying Kids Interlocking Mats that are available in numerous patterns and colours. We use high-density foam in fabricating these mat that makes them more durable and soft. Light weight, comfortable, soft, vibrant colours and high strength are some of the key features of our range, which make them broadly demanded and applauded by the clients all over the world. 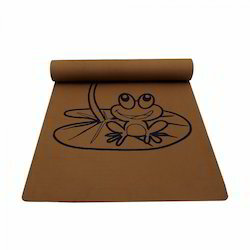 We have emerged ourselves as a leading manufacturer, suppliers and exporter of Education Mats. These mats can be availed into several attractive colors, elegant patterns, different sizes and other related specifications that suitably meet each and every requirement of the clients. Every item offered by our company is well analyzed and tested on pre-defined quality parameters that ensure their reliability and enable us to gain utmost client satisfaction. We design and manufacture wide range of Kids Fun Mats using Japanese Synthetic Rubber, Eva foam and other allied materials. The quality experts keep a close watch on the entire process and examine the produced Kids Fun Mats on several stringent parameters like durability, finishing, thickness, toxics, etc and ensure that these Mats are flawless and meet the pre-set industrial norms standards. These Kids Fun Mats are easily washable, light in weight, soft and comfortable. 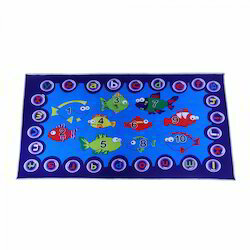 You can avail these Kids Fun Mats from us in all attractive colours, varied sizes and designs at industry leading prices. 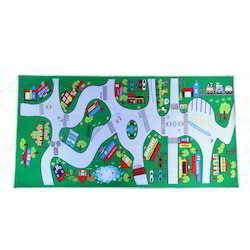 We are ahead our competitors in industry for manufacturing and supplying Puzzle Mats that are available in numerous patterns and colors. We use high density foam in fabricating these mat that make them more durable and soft. Light weight, comfortable, soft, vibrant colors and high strength are some of the key features of our range, which make them broadly demanded and applauded by the clients all over the world. 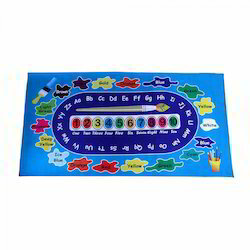 Being an eminent name in industry, our firm is engaged in manufacturing, supplying and exporting an exclusive range of Kids Study Mats. We offer these mats in variety of colors, sizes, lengths, and designs as per the clients’ diverse requirements. 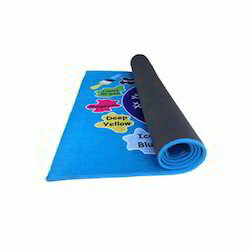 These mats are fabricated suing the soft fabrics, ensure their comforts and reliability. Moreover, these mats can be easily washed by using the carpet shampoos. Kids Floor for Room is very different from other rooms. It’s your responsibility to make your kids room interesting and attractive so that your kids can easily be ready to spend their time happily. Comprehending this requirement, we, Somani Enterprises(India), have come up with attractive Kids Floors. These floors are designed and prepared very carefully and do not create any irritation to your kids skin. We print several designs and patterns on Kids Floor Tiles so that every child can like to enjoy their time while spending the time in their room. Contact us to mention the size of your kids room and accordingly, we produce floor mats for the same. Being an eminent name in industry, our firm is engaged in manufacturing, supplying and exporting an exclusive range of Kids Mats. We offer these mats in variety of colors, sizes, lengths, and designs as per the clients’ diverse requirements. 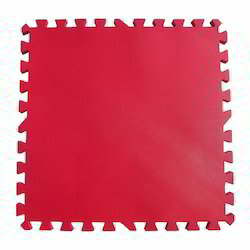 These mats are fabricated suing the soft fabrics, ensure their comforts and reliability. Moreover, these mats can be easily washed by using the carpet shampoos.